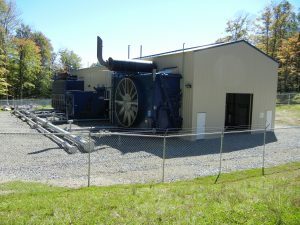 Mid Ohio’s capabilities extend beyond pipeline construction to include natural gas facility work, whether in conjunction with a pipeline project or as a stand alone scope of work. We have experience with all facets of compression and regulation, from multiple compressor greenfield projects to setting regulators, or retrofitting launchers and receivers. In addition to new construction, we have done a number of station rebuilds and flow reversal projects inside of existing facilities with significant amounts of hot work. We currently have crews involved in either the construction of pipelines or the associated station facilities required to make them operate. Each crew is fully experienced and properly equipped to perform all the necessary duties associated with station construction. The same attention to safety, preservation of the environment, quality and efficiency on which we have built our business holds true for the construction of station facilities as well.